Autobiographical tales from the life of Ticking Boy and his family. Standard size 20 page black and white comic with full colour cover. 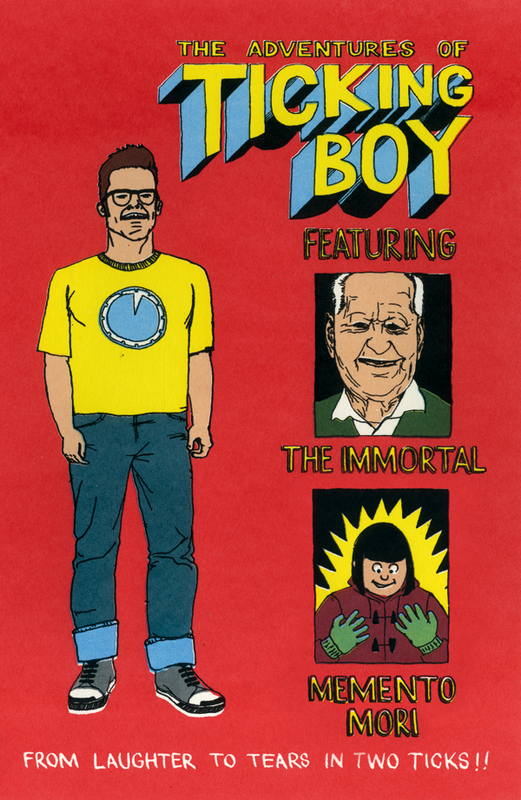 Autobiographical tales from the life of Ticking Boy and his family. Standard size 20 page black and white comic with full colour cover.